Born in Waterloo County, Ontario on 17 July 1849, to Irish parents, he attended Stratford and Brantford grammar schools and graduated from the University of Toronto in 1872, winning the silver medal in metaphysics. 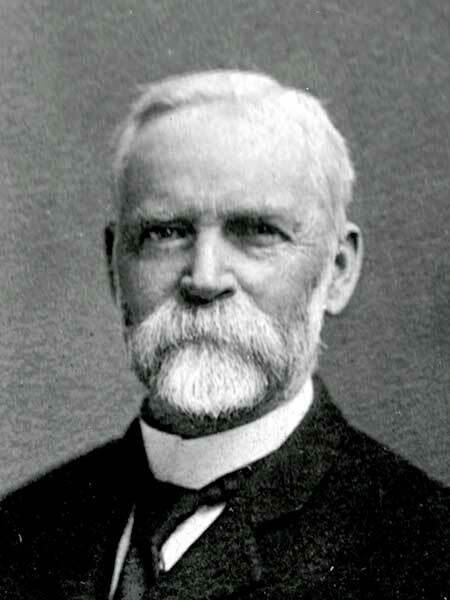 Ill health brought him west in 1881, and he opened a private school at Rapid City in 1881 which prospered until 1889. He was a member of the First Convocation of the University of Manitoba. After a year in Ontario he returned to Brandon and opened another private academy, closing it to become a member of Brandon College’s first faculty in 1899. He was professor of philosophy. On principle he did not belong to any secret societies or clubs. McKee was a Liberal in politics, but never ran for public office. He and wife Laura Emma Harris (1854-1939) had five children: George Eugene McKee (1881-? ), Mildred Roseborough McKee (1883-1956, wife of R. A. Cunningham), James Harris McKee (1889-1977), William Carey McKee (1892-1918), and Robert Allan McKee (1893-1919). He died at Vancouver, British Columbia on 14 September 1937 and was buried in the Brandon Cemetery. The S. J. McKee Archives at Brandon University is named for him. Samuel James McKee, Dictionary of Canadian Biography. “Dr. S. J. McKee, educationist, dies,” Winnipeg Free Press, 15 September 1937, page 9.